I am NOT a cake decorator. But, I DO think it's fun. 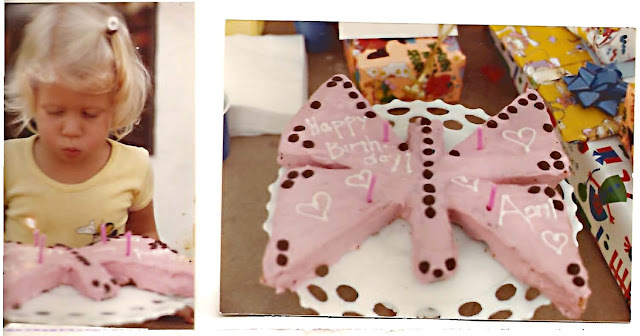 I have memories of my mother making fabulous cakes every year for my birthday. Maybe that's why I feel compelled to attempt the same for my kids. Plus, I HATE the way grocery store cakes taste! I'm probably the only one, but I think they're gross. I prefer to make my own, sort of, (from the box) cake. I thought this was the most beautiful cake I had ever seen! Wish I could get my hands on this cool cake platter! Here are a few that I swear are really easy. 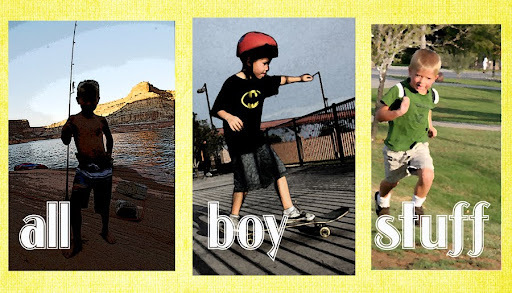 Maybe not completely professional looking, but great for little boys. Then, I got smart. I just copied a clip art from the internet and printed it out the size thatI wanted. I frosted the cake yellow. 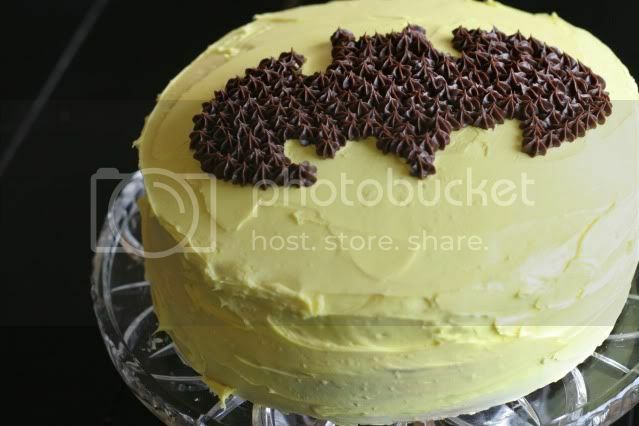 Then, layed the bat on top of the cake and used a toothpick to trace it's outline. Last, I used chocolate frosting (close enough to black) to fill in the bat. 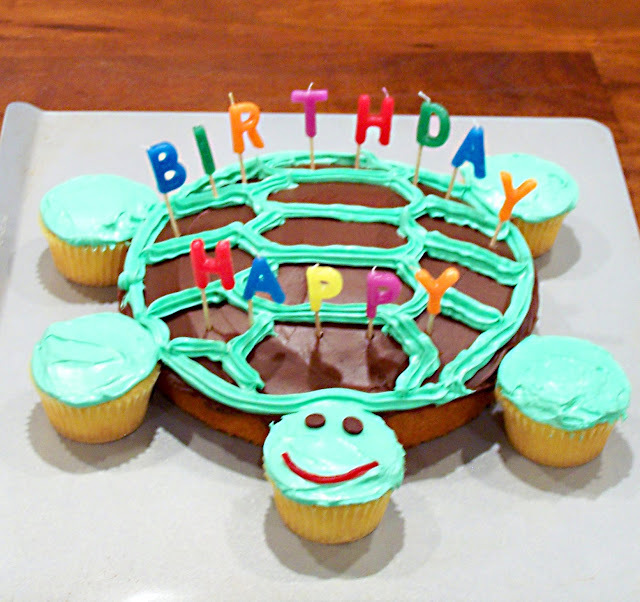 You could do this same thing for almost any cake design! You just bake the cake in a bundt pan & cut it into 4 equal sections. 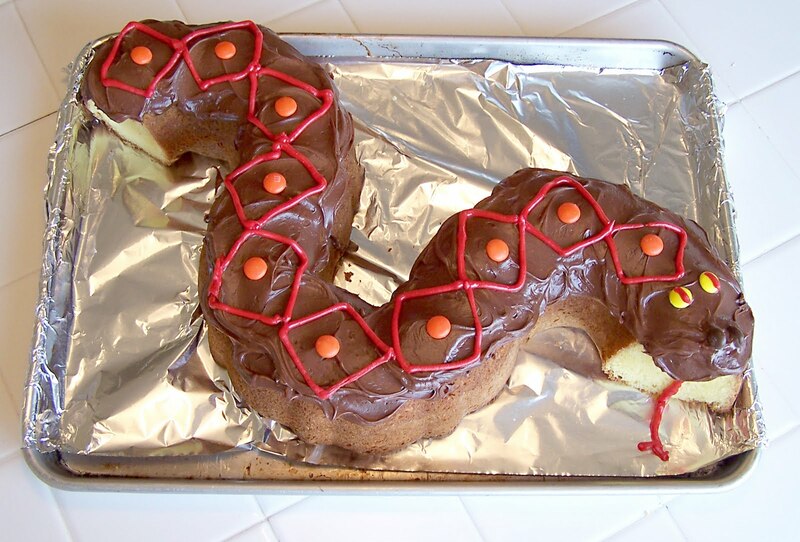 Then rearrange the sections to resemble the shape of a snake before frosting. Sometimes it's just easier to have cupcakes for a kid's party. Here are a few that I've never done, but look cool and easy too. Most sports cakes are easy, like this basketball one. I made a baseball cake one year, similar to this. Just white frosting with red crisscrosses on a round cake. or this summer themed cake. put fishy crackers around the sides, and used white lifesavers with red stripes as floatation devices. those are too cute and yes, they do look like i might even be able to make them. your picture and butterfly cake is precious! love the batman cake. I may be doing something similar in a few weeks!